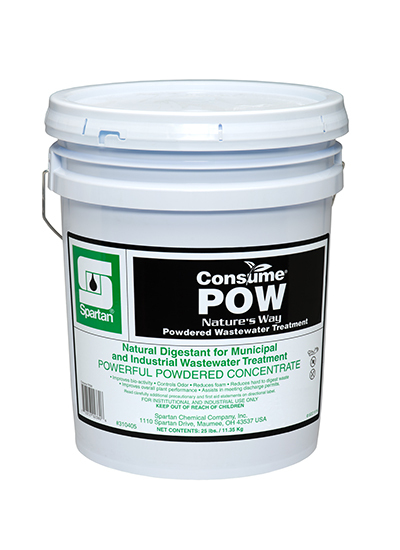 A powdered wastewater treatment that naturally cleans by assisting in the removal of organic soils in grease interceptors, septic tanks, drain fields, lift stations, and wastewater systems. Consume POW digesters speed up the process of organic soils and difficult compounds including phenols and cellulose, saving time. POW improves system stability, lowering maintenance needs, saving time and money.